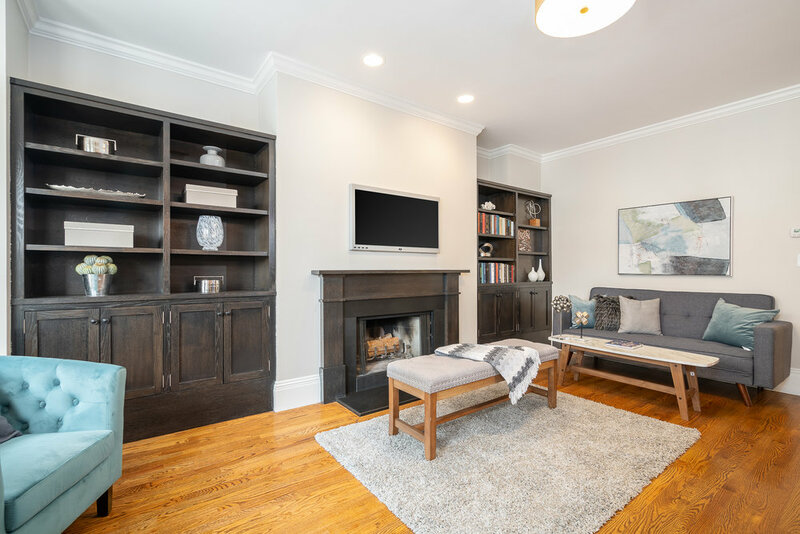 Wonderful upper level 2 bedroom/2 bath home in the heart of the South End features open layout offering living room with gas fireplace, bay window and views. Gleaming chef's kitchen with granite counters, gorgeous cabinetry, top-of-the-line stainless steel appliances and convenient dining island. Hardwood floors and lovely custom built-ins throughout. 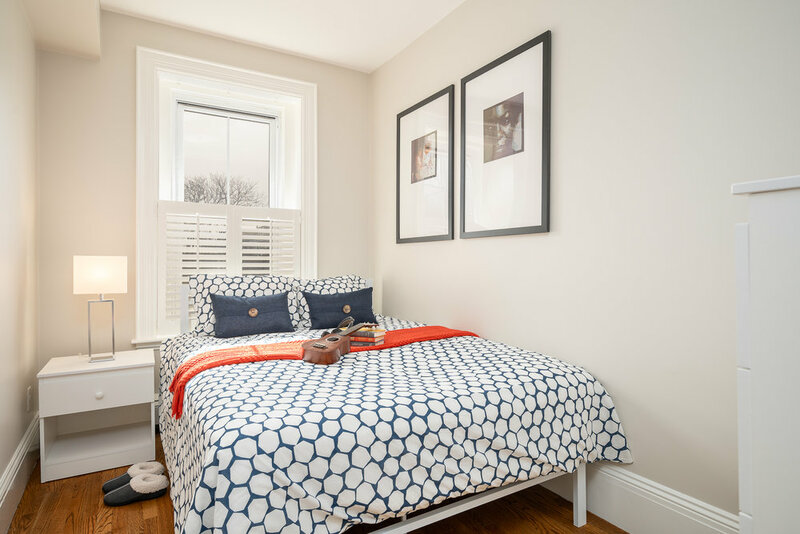 Two ample bedrooms with generous closet space. Step downstairs to all the South End's best restaurants and shops.